When the novel Primary Colors by 'Anonymous' was released in early 1996 a huge debate raged for months about the identity of the author. The book, like its subject, a fictionalised Bill Clinton, was compelling. Nothing was spared. We were titillated by his numerous affairs and infractions, and got loads of juicy, political tidbits involving barely disguised but utterly recognisable players. Most of all we got exquisite glimpses of Bill and Hillary's stressed, earthy and psychologically tangled relationship. It was great stuff, obviously written by a privileged insider. Eventually, Joe Klein, Newsweek's senior political columnist, fessed up about his authorship - after being outed by an academic who had carefully compared writing styles. It was all great fun, and the huge six-month run the mystery got in the press rocket fuelled the book's sales. It was a great marketing ploy - one of the most successful ever for a non-fiction title. 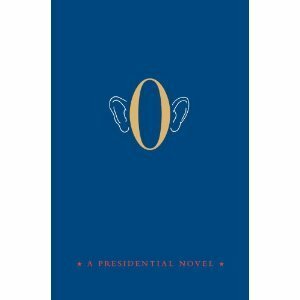 So now we get 'O' - a Presidential Novel, by Anonymous, which the publisher, Simon and Schuster, has undoubtedly positioned within the same marketing frame, hoping that the same media dynamic would apply. Except that the author's identity has been discovered virtually on publication - Mark Salter, former advisor and speech writer to John McCain. So in a way the book has been still-born, the public enthusiasm rather tepid. Mark who? A Republican? But please don't be put off. This is a seriously good and enthralling read. It's for political junkies perhaps - there are no 'revelations' about Obama's private life, no corruption, no guns, no marital dramas, no congressional dirty deals, no scenes of high emotional intensity. What we get instead is an insider's account of the imagined but riveting presidential election campaign of 2012. It's a totally different beast to Primary Colors, which has obviously thrown a lot of reviewers. 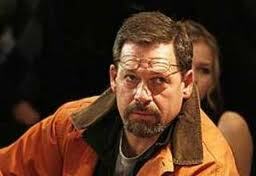 Dennis Altman, professor of politics at Latrobe found it dull, uninteresting and disappointing. He was anticipating another Joe Klein, dirty laundry expose. Well, it's just not that sort of book. The reviewer for The New York Times was also unimpressed. He dismissed it as "trite, implausible and decidedly unfunny" with passages of "very bad romance-novel prose". Well, I beg to differ. Sure, some of the prose is a bit clotted, but I found it a riveting examination, in minute detail, of a political campaign, and the people running it, something we don't very often get to see. We're up close with these people, living with them, feeling the nuances of their emotions and feelings as the campaigns unfold. The main character is Obama's campaign manager, under extraordinary pressure. Key players include some savvy, clever journalists, mainly working for newer, online publications, which the campaign managers, on both sides, fairly obviously detest. Arianna Huffington, for example, is mercilessly shredded! Despite his Republican background, the author, Salter, is scrupulously fair to both sides. He's no lover of the Tea Party, and especially of Sarah Palin. He loathes these people. His Republican candidate is an thoroughly orthodox, intelligent and likable human being (which begs the question - is such a person likely to emerge in 2012?). He is obviously a fan of Obama, portraying him, his policies, ideas, competence and gravitas extremely sympathetically. This is a sensitive and insightful rendering of a political drama obviously yet to unfold. But it rings so true. So who wins the 2012 election? It's a close race, the polls give it 'too close to call', and the book ends the day prior to polling day! As I said, for the political junkies!